Mr. Jiang Xipei founded Far East Holding Group in 1985. Founded in 1985, Far East Holding Group Co., Ltd. was formerly known as Yixing Fandao Instrument and Meters Factory. Now it has become a global investment management specialist, and is listed among “Top 500 Asian brands”, “Top 500 Chinese enterprises”, “Top 500 Chinese private enterprises”, “China Best Employer”. Far East insists on the strategy of “Owner + Investment”. 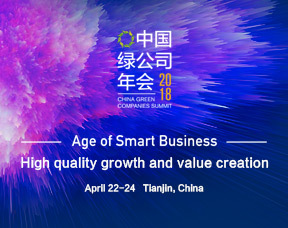 Far East Smarter Energy Co., Ltd.(Stock code:600869), a subsidiary corporation owned by Far East Holding Group, specializes in smarter energy and smart city technology, product and service, R&D, manufacturing and sales of the application of its Internet and Internet of Things, etc. It is committed to become the smarter energy specialist, that is, a provider of smart energy and smart city system service. Far East Holding Group has achieved good results in foreign investment repeatedly, with great overall investment results. Mr. Jiang Xipei is the vice president of Asian Manufacturing Association, vice president of China Enterprise Confederation and China Entrepreneurs Association and vice president of Jiangsu Federation of Industry and Commerce. He was elected sixteen CPC Representative in 2002 , has been awarded the national labor model, Chinese youth five four medal, CCTV Top Ten of China Economic Annual Figure,etc.